ALWAYS do a test strand before you begin. Cut a small piece of hair from the back of your head or gather some hair from your hair brush. This way you know the result before you begin. ALWAYS ask an herbalist or your local herb provider about the herbs you are using and their side effects if any. Just because it's printed on the Internet, doesn't make it safe. Research first!!! ALWAYS keep allergies in mind. Specially if you are using certain herbs and oils for the first tome. Do a patch test on the bend of your arm, at the elbow. Allow 24 hours for any reaction to occur. Add ingredients to a clean bottle. Place cap and shake. After shampooing, pour mixture through hair. Do not rinse out. Dry as normal. Place tea bags in a cup of boiling water for 15 minutes. Remove tea bags and cool. Mix in yogurt and lavender oil. Apply the mixture to dry hair, working through to ends. Cover head in a plastic shower cap for thirty minutes. Shampoo hair and condition hair. Combine ingredients and pour over damp hair. Let sit for an hour then wash out. Follow with a good deep conditioner. Several applications might be needed to see results. Brew coffee or tea. Allow to cool. Pour over head. Let set or 15 min. Then apply again. Rinse well. This is a great way to blend away those few pesky greys. Usins a double boiler, place ingredients in a non-metal bowl or pot. Simmer ingredients in water 20 minutes. Remove from heat, strain ingredients, saving liquid in an old shampoo bottle. Allow to cool then apply to hair as a final rinse after conditioner. Mix ingredients together, pour over clean, damp hair. Apply a shower cap and let sit on the hair for at least an hour. Shampoo then condition. Black Tea and Sage Rinse for darkening gray hair. Steep black tea and sage in boiling water. The longer you steep, the stronger the rinse, resulting in a slightly darker hair color coverage. Allow to cool and use as a hair rinse, pouring the tea repeatedly over the hair. Rinse with tepid water. Do not shampoo. But you can condition after. Prepare a strong tea from black tea leaves and cherry bark. The longer you steep, the stronger the rinse and the hair color will be more intense. Use as a rinse after shampooing and conditioning, finishing with a water rinse. Cover gray hair by steeping a half cup each dried sage and dried rosemary in two cups of hot water. Apply once a week until you reach the desired shade. Looking for an alternative to artificial hair color? 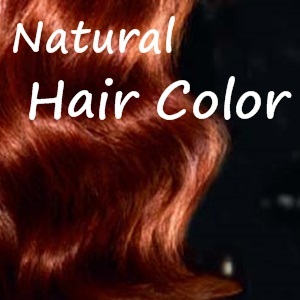 Natural hair color rinses you can make yourself at home might just be a great alternative to going to the salon. These color rinses are just that, rinses. They can add shine, give highlights and even darken hair color. Natural hair color rinses show subtle results but are great if you’re looking to step away from the harsh chemicals artificial hair color is made of.